This March Cadence Watch Company is going to begin shipping out it's 4:20 Watch. These watches make it easy for a person to know how far they are from pot smoking time. 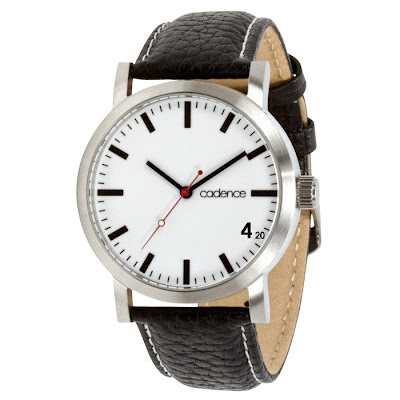 Cadence puts an emphasis on the lifestyle of their customers. They designed the 4:20 watch perfectly for stoners. The watch is a stripped down version of their "Ecomatic" design with an emphasis placed right wear a pothead would want it. These might not be the best watches for telling time, but who cares. Twice a day both the hour hand and the minute hand point straight to 4:20. Then the watch'll appear to have just one line pointing straight to 420. It gives me goose bumps just thinking about how cool that is. There is no way check out the 4:20 watch by going through CadenceWatch.com instead you have to go straight to CadenceWatch.com/420-watch. They're releasing this watch to stoners in secret. When the watches get shipped out, we here at BakedLife.com will be giving one away. The best way to make sure not to miss the contest is subscribe to our newsletter and follow us on twitter.